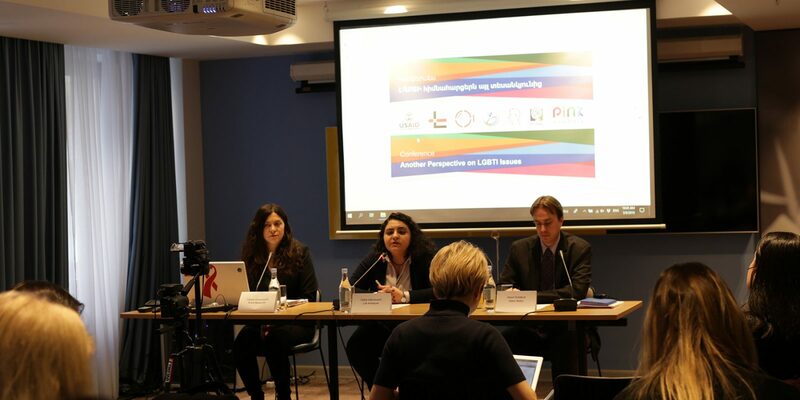 On March 6th “Another perspective on LGBTI issues” conference took place in Yerevan, jointly implemented by Pink human rights defender NGO and partner organizations in frames of “Promoting the Human Rights of LGBTI People in Armenian Society” project. At the conference various documents, research and draft laws were presented and discussed, which were developed as a result of the project jointly implemented with six non-governmental organizations with the financial support of USAID (United States Agency for International Development). Nvard Margaryan, board member of Pink human rights defender NGO, presented the human rights situation of LGBTI persons (lesbian, gay, bisexual, trans, intersex) in Armenia, noting that LGBTI rights are often violated, and they face discrimination in various areas such as housing, employment or education. Nina Karapetyants, the president of the Helsinki Association for Human Rights NGO,presented interviews and events implemented by the organization, as well as spoke about attitudes and reflections of representatives of political and state bodies on LGBTI issues in Armenia. 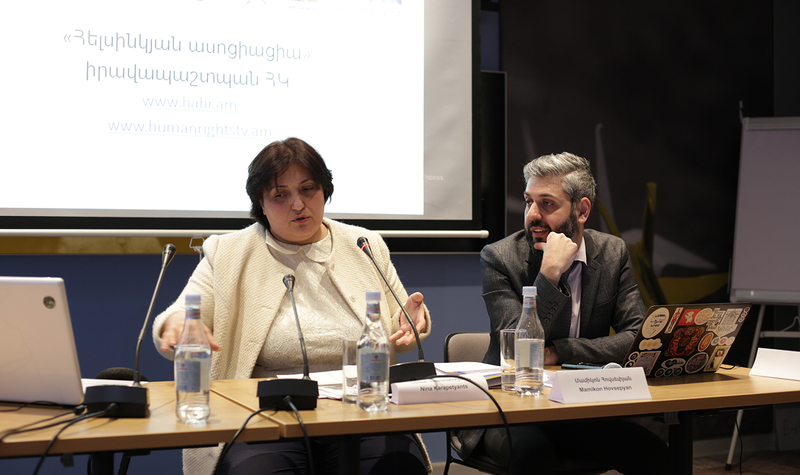 President of Pink NGO Lilit Avetisyan and NGO’s lawyer Hasmik Petrosyan presented the long-term advocacy strategy aimed at the protection and improvement of the human rights of LGBTI individuals. During the conference, the situation of LGBTI people in Armenia was discussed, speakers presented current issues and the necessary policy and legislative changes, in particular, the draft law on “Legal Gender Recognition” was presented along with its justification proving the necessity of the law adoption, which was implemented by the New Generation humanitarian NGO. 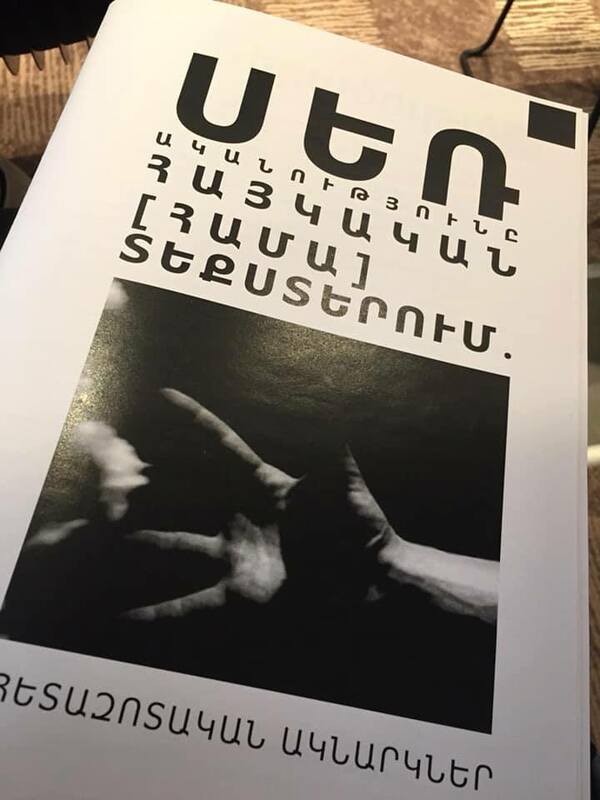 The conference also featured a social-historical study on sexuality and its forms of representation in Armenian context, conducted by the “Socioscope” societal research and consultancy center, as well as presentation of the research on attitudes of decision and opinion makers towards LGBTI rights protection in Armenia, conducted by Women’s Resource Center Armenia NGO. The conference was attended by representatives from local and international organizations, National Assembly, the RA Police, Human Rights Defender’s Office, and civil society.